We humans can feel, learn and perform purposeful acts only because the sensory information we receive from the environment is translated into nerve impulses, which are then processed in the brain. 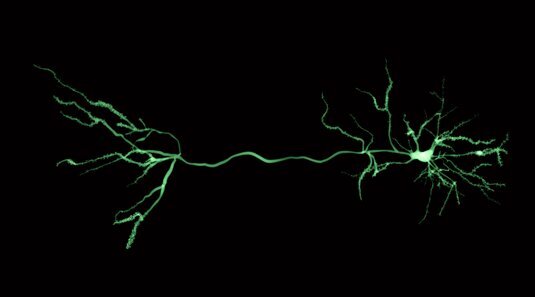 To accomplish this task, a single nerve cell in the cerebral cortex, to take only one example, may receive and process signals from thousands of other neurons. "In order to understand brain functions, it is absolutely vital to understand how nerve cells integrate these inputs," says Andreas Herz, Professor of Computational Neuroscience at LMU and a member of the Bernstein Center in Munich. He and his research group have now developed and applied a new analysis tool to characterize the computations carried out by individual neurons. In a new study published in PLoS Computational Biology, they report that the signal processing strongly depends on which part of the cell the synaptic input is delivered.